Apple’s HomePod is set to launch pre-orders tomorrow for customers in the US, UK and Australia (Canada has to wait, sadly). HomePod is priced at $349 US, which can be seen as expensive when compared to smart speakers from Amazon and Google. But now Sonos is countering Apple’s HomePod launch, by offering two of its latest Sonos One smart speakers for $349 US—the same price as HomePod, for those in the US and UK. This offer saves users $50 US off two Sonos Ones. This means Apple customers thinking about HomePod now have Sonos dangling a carrot in front of them—two Sonos Ones or one HomePod. 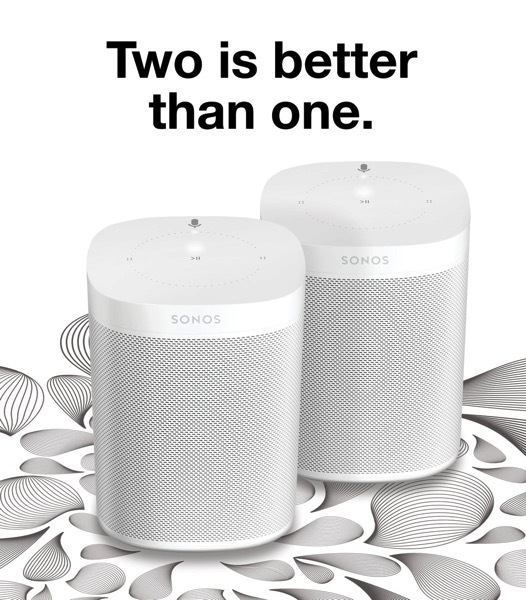 While HomePod is said to have better audio quality than competitors, a pair of Sonos One speakers will do just fine for the average family, who aren’t audiophiles, but want greater sound than an entry Echo or Google Home. Sonos One supports Amazon’s Alexa voice assistant, while future plans include support for Google Assistant. The speaker will also support Apple’s AirPlay 2 this year as well. In Canada, Sonos One is set to support Alexa in “early 2018”, while the speaker is priced locally for $249 CAD. 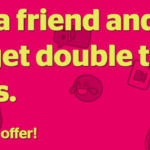 If you have friends in the US or UK, time to call them up and get a deal on two Sonos Ones. Or are you going to go bring back a HomePod to Canada from the USA?